Just a week and a bit to go! Still a few places left. 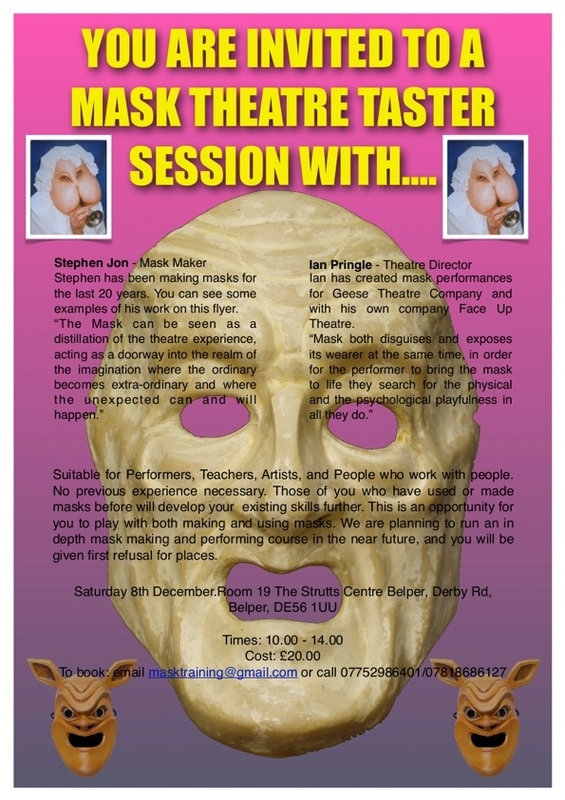 The latest ProsoponTheatre Mask Taster Day, join Stephen and Ian for mask play. 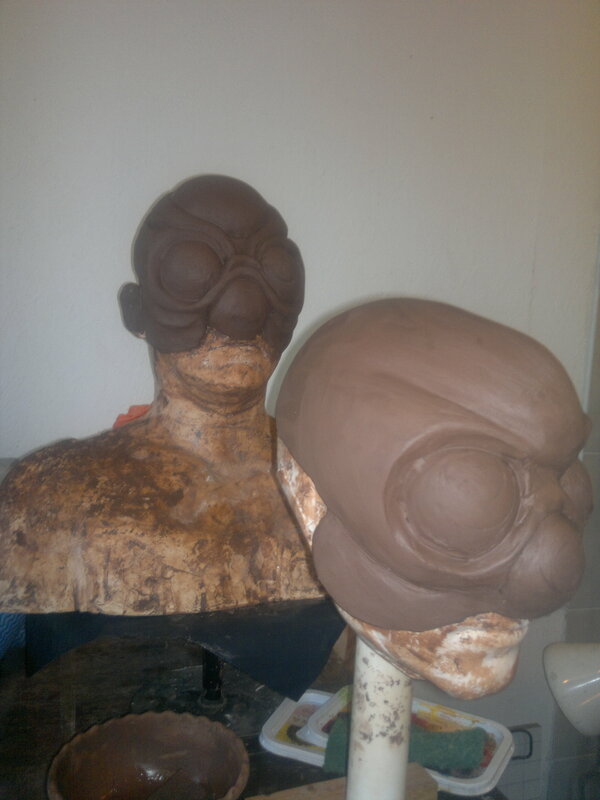 Trouble with martians is that there is no appropriate model. This is my second attempt, rather pleased but it won’t do for the acting style in Catfoot Theatre production of Santa Claus Conquers the Martians. It may work for Insectologists. This will work for ‘Insectologists.